After a spate of new tracks over the past month, including “Getcha Roll On,” “All I Want,” and “A Million Times,” T-Pain has returned with a brand new surprise album entitled 1UP. The star of Auto-Tune R&B took to Twitter to announce the release earlier today. The project showcases T-Pain’s customarily lascivious crooning and rapping across 12 tracks, including the three previously released singles. 1UP also features appearances from Lil Wayne, Boosie Badazz, O.T. Genasis, Tory Lanez, Russ, and Flipp Dinero. “Getcha Roll On” boasts a guest verse from Tory Lanez and production by mashup specialist Girl Talk, bringing two mainstays of the late aughts together at last. 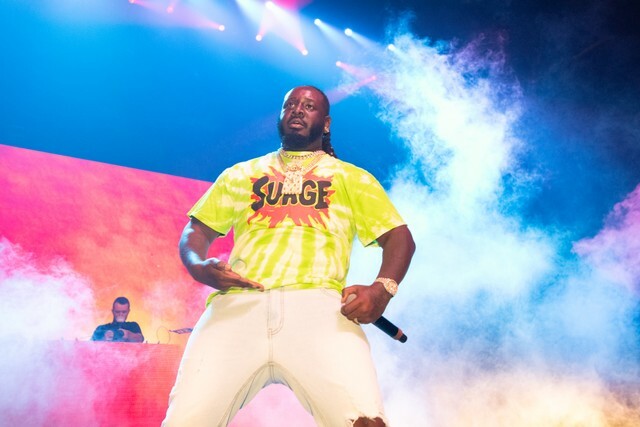 The new album follows up T-Pain’s 2017 project Oblivion. That same year also saw the belated release of T-Pain and Lil Wayne’s decade-old collaborative mixtape T-Wayne. Listen to 1Up below. Does This Panic! at the Disco Song Remind Anyone Else of Lil Wayne?